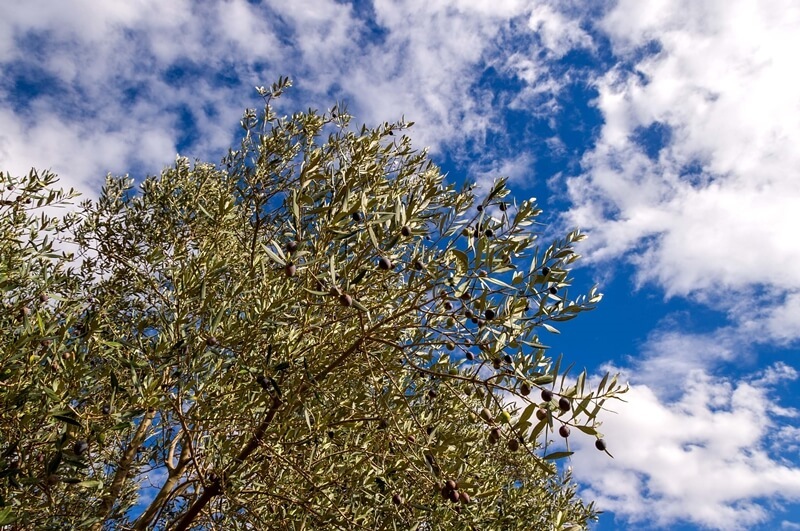 In our latest article 'What is EVOO™? (And Why The Label Matters)', we talked about all the hard work that goes into producing high-quality EVOO. In this article, we will be focusing on why we should all consume EVOO on a regular basis. Some fats are good for you! Yes, you heard that right! Have you heard about ketogenic or Mediterranean diets? Yes? Then you are already aware of what good fat can do for you. If not, do not worry and read on. A growing body of research shows that olive oil is the 'healthiest fat' and it deserves to be a constant feature on your kitchen table. "All fats are bad for you" is a myth. That's all there is to it. Like everything else in the World, little research goes a long way. Good fat is not something you should stay away from. On the contrary, it is a great way of complimenting your daily meals. You might have spotted "pure olive oil" on some olive oil packaging. However, these food labels are misleading. Among the olive oil varieties, extra virgin olive oil is of the highest quality.You should look for the full "extra virgin olive oil" label on the packaging. This is the guarantee and standard labeling of the highest quality olive oil. EVOO contains oleic acid. And, it has less linoleic and linolenic acids compared to other vegetable oils. In other words, olive oil contains more monosaturated fatty acids than polyunsaturated ones. This makes olive oil more immune to oxidization. Olive Oil is rich in vitamin E. One tablespoon contains 1.94 mg which is 13% of your recommended daily value (RDV). There is also 8.1 mg of vitamin K in one tablespoon of olive oil which is 9% of your RDV. Olive oil contains some powerful antioxidants. Polyphenols are one of those many health protectors and enhancers in EVOO. They became the trendiest way to compare superfoods, in other words, anti-oxidants. Like other antioxidants, polyphenols fight oxidative stress. We maximize antioxidants in our olive with specific pruning, irrigation, and transportation techniques. We mention this in more detail in 'What is EVOO™? (And Why The Label Matters)'. The research shows that consuming a serving size between 25 and 50 ml of EVOO per day has many health benefits. Get exclusive content, sign up to become a Coliver! Hold on, are you telling me that olive oil enhances the goodness of other food that I pour over? Yes, that is exactly what we are telling you. Do you want to get the most out of your diet and the food you eat? Do you want to have more nutrients with the same amount of food you eat? Then, eat olive oil. Olive oil improves the breakdown process in your stomach and intestines. Yeah, it might not be pretty to think about, but it is an amazing feat of olive oil. You can read more about this feat and the research around it in the book ‘The Olive Oil Diet: Nutritional Secrets of the Original Superfood ‘. We will surely mention the authors of this book: Judy Ridgway and Dr. Simon Poole again later in this post. Our immune system defends our body against harmful substances. Toxins, microorganism, and parasites are some examples of these harmful substances. Research shows that regular olive oil intake boosts the immune system. This is thanks to the fatty acids and the wide range of antioxidants present in EVOO. Olive oil owes its 'healthiest fat' label to its unique composition. As seen in the table above, olive oil contains many monounsaturated fats, one of which is oleic acid. Monounsaturated fats lower harmful LDL cholesterol levels while raising beneficial HDL cholesterol. HDL is the 'good' cholesterol as it protects against the onset of heart diseases. HDL also prevents the formation of fatty patches that might obstruct the functioning of vital organs. Depending on their location, these patches can cause a brain stroke or can lead to a heart attack. The most important group of anti-oxidants in EVOO are polyphenols. Studies have shown that some specific polyphenols found in EVOO act on the chemical processes linked to inflammation. For instance, research has confirmed that EVOO has an impact on detrimental enzymes found in arthritic joints. Rheumatoid arthritis patients who were given extra EVOO in their diet reported lower levels of swelling and pain. Antioxidants fight against harmful free radicals. Free radicals cause oxidative damage which disrupts the balance of body cells. This disruption can cause cancerous changes. Studies showed that the antioxidant and anti-inflammatory properties of the regular EVOO consumption help to prevent the damaging effects of oxidation. There is a growing body of evidence that focuses on the relationship between EVOO consumption and lower risk of certain cancer types. Alzheimer's Disease is the most common form of dementia, yet its underlying cause is not understood. It is thought that oxidative stress results in the production of abnormal proteins which form in a particular pattern in the brain. Extra virgin olive oil was shown to clear these beta-amyloid proteins from the brains of mice, thus helping to prevent Alzheimer’s. Studies have shown that as olive oil consumption has a positive effect on insulin sensitivity and sugar regulation, it plays a role in reducing the risk of developing type 2 diabetes. For those with the established disease, olive oil reduces the severity of diabetes. Besides antioxidants and anti-inflammatories, EVOO is also a source of vitamin E. Vitamin E also has antioxidant properties. It can help prevent unwanted blood clotting by limiting the accumulation of platelets. Increased risk of certain types of cancer (lung, cervix, and prostate) has been linked to vitamin E deficiency. It turns out 'eat good, feel good' philosophy is supported by research and olive oil makes up an important part of 'eat good'. It is shown that following a Mediterranean diet with regular olive oil consumption plays a role in reducing the severity of depression for people with existing depression. Please note that this is nowhere near an exhaustive list of health benefits of olive oil consumption. Our team was lucky enough to attend an educational session with Judy Ridgway. She co-authored the book ' The Olive Oil Diet: Nutritional Secrets of the Original Superfood' along with Dr. Simon Poole. Their book offers an up-to-date review of the health benefits of olive oil. It is a great read if you would like to delve deeper into all the health benefits of olive oil. Olive oil is the ultimate gift of olive trees to us. Don’t forget to celebrate all the good olive oil has to offer with a bottle of Colive oil. It takes us all to create a more peaceful world. Come plant a seed for a better future.